The introduction lays out the principles of Friedman’s archetypal liberal, a man who supports limited and dispersed governmental power. Friedman opts for the continental European, rather than American, definition of the term. 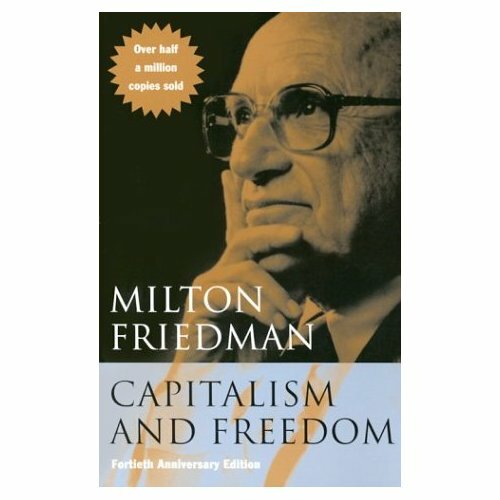 In this chapter, Friedman promotes economic freedom as both a necessary freedom in itself and also as a vital means for political freedom. He argues that, with the means for production under the auspices of the government, it is nearly impossible for real dissent and exchange of ideas to exist. Additionally, economic freedom is important, since any “bi-laterally voluntary and informed” transaction must benefit both parties to the transaction. According to the author, the government of a liberal society should enforce law and order and property rights, as well as take action on certain technical monopolies and diminish negative “neighborhood effects.” The government should also have control over money, as has long been recognized in the constitution and society. This chapter advocates the end of the Bretton Woods system in favor of a floating exchange rate system and the end of all currency controls and trade barriers, even “voluntary” export quotas. Friedman says that this is the only true solution to the balance of trades problem. Friedman argues against the continual government spending justified to “balance the wheel” and help the economy to continue to grow. On the contrary, federal government expenditures make the economy less, not more stable. Friedman uses concrete evidence from his own research, demonstrating that the rise in government expenditures results in a roughly equal rise in GDP, contrasting with the Keynesian multiplier theory. Many reasons for this discrepancy are discussed. Friedman states, there are three alternatives for a monopoly: public monopoly, private monopoly, or public regulation. None of these is desirable or universally preferable. Monopolies come from many sources, but direct and indirect government intervention is the most common, and it should be stopped wherever possible. The doctrine of “social responsibility”, that corporations should care about the community and not just profit, is highly subversive to the capitalist system and can only lead towards totalitarianism. Friedman examines the progressive income tax, introduced in order to redistribute income to make things more fair, and finds that, in fact, the rich take advantage of numerous loopholes, nullifying the redistributive effects. It would be far more just to have a uniform flat tax with no deductions, which could meet the 1962 tax revenues with a rate only slightly greater than the lowest tax bracket at that time. Though well-intentioned, many social welfare measures don’t help the poor as much as some think. Friedman focuses on Social Security as a particularly large and unfair system. The effects of Capitalism and Freedom were great yet varied in the realm of political economics. Some of Friedman’s suggestions are being tested and implemented in many places, such as the flat income tax in Slovakia, a floating exchange rate which has almost fully replaced the Bretton Woods system, and school vouchers for Hurricane Katrina evacuees, to cite a few prominent examples. However, many other ideas have scarcely been considered, such as the end of licensing, and the abolition of corporate income tax (in favor of an income tax on the stock holder). Though politicians often claim that they are working towards “free trade,” an idea the book supports, no one has considered taking his suggestion of phasing out all tariffs in 10 years. Nevertheless, Friedman popularized many ideas previously unknown to most outside economics. This and other works helped Milton Friedman to become a household name. The Times Literary Supplement called it “one of the most influential books published since the war.” However, many of the ideas described in this book are considered controversial or even radical to this day.